I am completely stunned by some of the comments made at the post, Is The Ron Paul Curriculum Failing Its Students? I have not cleared them for posting because they require a detailed response and I will do so here. in the referenced post of a former student, I did not find anything disrespectful or arrogant in the way Dr. North responded. He seemed to want to bring other students into the conversation to fix the problem---if there was any. It seems to me that at first, he didn't see a problem and wanted to get other student opinions. Then, it seems as though he saw something and corrected it. I really don't want to go into the exchange between Dr. North and the student. She appears to be a talented young writer and I wish her well, but let's leave her out of this. I want to discuss the comments from adults about the post. I find North off-putting. He's clearly intelligent, and I have occasionally found him insightful, but I've never been blown away by him. Frankly I'd rather listen to paint dry than one of his lectures. Good writer though. You would rather listen to paint dry? I rarely have time to listen to 60 minute videos but if there is a new North video out there, I will listen to it. Indeed, I have listened to many of his videos multiple times. He is one of the most skilled communicators in the libertarian movement. I will tell you a story. In the early 1970s, Dr. North was working for Pacific Coast Coin Exchange, touring the country and giving speeches on silver coins as an investment. I happened to see a notice of the speech in the Boston Globe. I was too young to drive so I got my father to drive me into downtown Boston to attend the speech. This is 40 plus years later and I still remember lines from his speech. If a speaker can deliver a speech and there is anyone in the world that can remember lines from the speech 40 years later, the man giving the speech knows something about communication. Second, I suspect that Dr. North has done very well for himself and it started by writing newsletters long before the internet. I am sure he had many thousands of paying subscribers. Think about that. He had to send direct mail pieces out which was very expensive to do and yet he succeeded. I am certain that there are many libertarians who would welcome for free to their blogs the number of subscribers that Dr. North got to pay for subscriptions. The man is an extremely skilled communicator and people have paid much money to read and listen to him, and you are going to comment that you have "never been blown away by him" and that you would "rather listen to paint dry." You have a genius in front of you and he is obviously way over your head. There were many more comments along the lines of the one that came from Brutus. I will post the one from Brutus and our email exchange and I will consider it my response to all the other similar comments. I used to subscribe to Mr. North's website. I found him to be disinclined to acknowledge his mistakes (who isn't? ), but it's really his overall demeanor which is off-putting. As for the RPC, my wife and I found it less than inspiring when we tried it with our three home-schooled kids. This has nothing to do with Mr. North personally, but the product he sells. We've moved on to other merchandise that we consider to be superior. We already tried RPC. We found it to be an inferior product. But we'll see if the censors here let anyone read my review. Censoring my honest critique of the RPC proves what a good little toadie you can be. "We've moved on to other merchandise that we consider to be superior." Why don't you name the "superior" product? I don't think there is any product better than Dr. North's but how can I evaluate and respond when you leave out the key element to evaluate your response, the so-called superior product. Dishonest?!? That is NOT dishonest. It's an OPINION based on my homeschooling experience. Whether I mention ANY other product does not make it dishonest. remiss as a commentator on your site by taking it any further and plugging other websites/curricula. products come to light. We paid for and used RPC one year and many parts of it were too dry and uninspiring - like I wrote. Rather than subscribe to the all-encompassing RPC, our money has been spent elsewhere with better satisfaction. That's one of the many beauties of homeschooling: a tailored education for each kid. When homeschooling parents get together, the conversation quickly turns to "who's using what?". Some use just one source like RPC, some download all their content from the web for free, but most use a number of venues, from books to DVDs to online lectures to co-ops. When it's your kid, and your money, and your time, you go with what works - regardless of how much some product is hyped. There is no higher authority. The buck stops here. What we feel is superior is absolutely tailored to our children's needs, and totally subjective to what we feel is best for our kids. There's nothing for you to evaluate. You're not raising them or teaching them. Alright. I've vented. I appreciate your time. And I really appreciate your 'EPJ Alert'. I consider that a superior product worth every penny. I enjoy your insights and would put the 'Alert' right up there with the late great RR's 'DOW Theory Letter'. Ok, before I break this down, I want to make clear there were others that said they had found a superior product, so this break down applies for all those commenters. First, of all, I think we need to understand the reason for homeschooling. I would think it is to introduce the student to a better education than one can get from schools. Looking at the A Beka courses, it is clear that this is a heavily-Christian based curriculum. But is it really that hard to find a Christian school in the United States that would teach these type courses? Maybe there is a reason for homeschooling here but it strikes me that this type of education is readily available in traditional private schools. And, as I have noted, I don't believe the Ron Paul Curriculum is religiously oriented. So rather than superior, it looks to me like we are comparing apples and oranges. As far as the Saxon Math, it appears to me that it is traditional math teaching. Maybe there is a reason to teach this at home, depending upon your location. But I would think there are a lot of public schools and private schools where kids graduate fully understanding higher level mathematics. So I am not sure that math in many cases is a reason for homeschooling. Now as far as The Great Courses homeschool program. It is absolutely horrific. This is certainly the kind of course you can find in any public school in the country. This does not need to be homeschooled. There is a Great Presidents course, amongst the Great Courses, that devotes 4 lessons to LBJ as a great president, 4 to FDR, 4 to Woodrow Wilson and 4 to Abraham Lincoln. Under a history of the United States, there is a course that explains how "minimal government intervention" caused the Great Depression. There is an entire course on John Kenneth Galbraith's horrific the "affluent society" perspective. The lesson on Bill Clinton informs that his "failure" was in not being able to create a national healthcare system. I will stop here but the horrors continue. You are correct in thinking that you will not find this nonsense in the Ron Paul Curriculum. If trying to get your kids to understand how the world really works, the Great Courses is a disaster---and the themes are taught everywhere! You will learn reality at RPC and I doubt anywhere else. But beyond this, I truly believe that Dr. North is one of a kind and he should be taken advantage of. In one of his posts, he mentioned he tells kids to start a blog reviewing books. This is a brilliant idea. I have recommended it to a couple of young people. He has mentioned that he teaches students how to create educational videos. Students working with him are learning marketing, communications and entrepreneurship from a true genius. Who knows what else he is teaching? And he is as solid as they get on Austrian economics, libertarianism, and history. This is the stuff that is not being taught in private and public schools today or for that matter other home school programs. It is the stuff that will allow students to learn how the world really works and the communications skills and marketing skills that aren't taught at most other places---especially when it is taught by a man who has been a major league grand slam home run success at it. So when I see people saying they are going on to a "better" program, I shake my head, I don't think they understand how unique and valuable RPC is. But really parents, you sound like a bunch of snowflakes. Are you going to protect your children every time someone says "boo" to them? Maybe what you should be teaching your kids is how to grab what you can out of a situation and ignore the rest, because that is how transactions are made in a complex world. And what a student can get out of Dr. North (and Dr. Tom Woods) is extremely valuable and not to be found anywhere else. The answer is yes, they will protect their children every time someone says "boo" to them! After all, they are millennial snowflakes (too broad a stroke?) and want to give all the places a participation ribbon. btw - I'm a millennial... :( But I don't have to act like it! I read much of the Gary North transcript/back-and-forth. I think he is trying to enhance students' critical-thinking skills by way of the Socratic Method, i.e. answering a question with a question. Sure, he probably takes it to the extreme, and uses it in non-substantive situations (i.e. where the student is asking for clarification of procedures, not as to the subject matter), but still, overall, he's trying to get students to solve their own problems and think for themselves, which I respect. I looked at the curriculum for the RPC site, and it looks fantastic; As a parent, I could only dream of having my 3 kids being exposed to such practical and stimulating erudition. In fact, I'm considering using it, if my kids don't adapt well to this, their first year in public school (having transferred from Catholic school to junior high this year). There is so much more I could write - an absolute TON - but I've gotten a feel for this stuff over the years, and there's a limit to my time wasted in comments sections. Judging from your post above, you are understandably ignorant with regards to this subject. I've got three smart, savvy kids to show for my efforts. My first is in college making the Dean's list each semester with ease. In the summer he RUNS the local pool store in town (selling hot tubs on commission), and is the owner's right-hand man, with a particular knack for handling upset customers (ahem... snowflakes?). He's also working with a German group who found him online to develop a new game app for phones (he does all the music and the sound effects). It's won a few awards already and he's getting paid for his efforts. (If I'm going to take the time to write, I might as well get in some proud pappa moments). When in "high school", he gave a talk at one of the local government high schools to two filled-to-capacity auditorium rooms about what it takes to become a great musician (ahem... snowflakes?). He has the top rated blue bossa vibes version on YouTube. Just Google "Blue Bossa Vibes", it will pop up. He made South Carolina's All-State Jazz band while in 8th grade. My other two are doing quite well too. And their entire childhood learning happened at home in their PJs. How cool is that? As for the snowflake remark, well I called you a toadie, which I kind of regret, decorum-wise, so I guess we're kind of even. However, living the homeschool life, with its attendant social stigmas, sacrifices, etc. requires that one not be the melting type - to put it mildly. I thought maybe you'd have a bit more than calling names and trying to make the issue somehow based on the character of people rather than the content of the RPC curriculum. Ah well. I used to subscribe to North. I've used the RPC curriculum. Heck, I stood in a banquet room in Charleston with about 50 other people and shook Ron Paul's hand (this was before he got popular). Thanked him for all he does. I'd be glad to use the RPC if I thought it worth it. I'm not riding his coattails that far, though. I'll do what's best for my kids rather than give Mr. North my money. "And what a student can get out of Dr. North ...is extremely valuable and not to be found anywhere else." What they got was a good nap (Not NAP! :D ). They can get those for free. No offense, ahem, but you sound like a big butthurt snowflake. Nobody said your kids were weak or stupid. Just your comments. Sean, don't continue to insult. 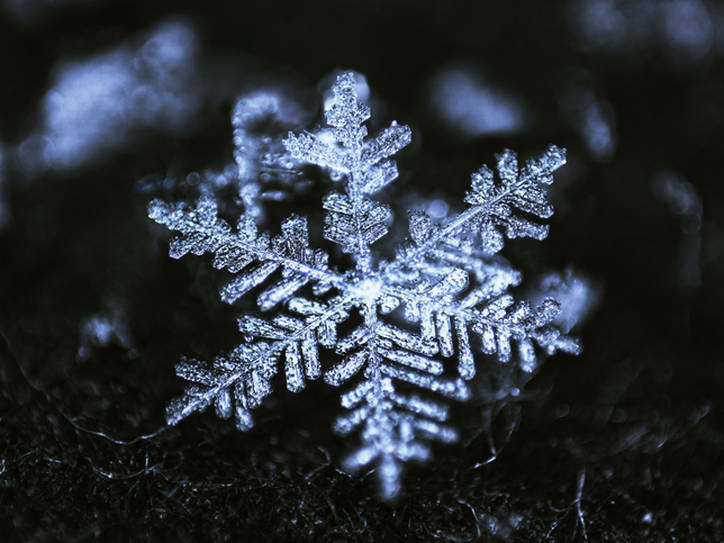 Everyone with a different opinion is a 'snowflake'? Sure buddy. Brutus has a valid opinion. Not everyone takes to authoritarian styles. There is a fine line. Hard teachers are usually good. But all hard teachers are more effective when showing empathy with their exacting styles. I have no opinion on whether this applies to Gary. But it's ok. I would put my kids through a North class (currently too young). We can't all be Tom Woods. Mr. Woods will rightfully defend the RPC. But look, it isn't perfect. The highlight is surely Woods' courses, and then North's. But some of the youth materials are lacking, and there are objectively superior alternatives if you know where to look. (e.g., Singapore math programs, Susan Wise Bauer programs on Writing). Oh and that website design...probably shouldn't look like something made with Netscape Navigator tools. Art and design are among the noblest subjects of study for man. Hey I'm just throwing a jab to a guy who felt the need to insult because his comments weren't approved. Suddenly that means I think everyone with a different opinion is a snowflake? Sounds like something a snowflake would say. Hmm, not sure if the first part of my comment got lost or was subject to the censoring department. Ah well, that's what happens when spending too much time in these stupid comments sections. Didn't anybody like the NAP joke?!? That was great. Ahhhh, I do love a good play on words. RW, I've been following your back and forth with the RPC family that has a problem with Dr North. I'm in agreement with you: Dr North is a pretty smart guy. I wish I had him teaching me in High School. After all, I attended the Chicago Public School system, which was, and is, a complete and total disaster. That said, as a child of the 70's and 80's I was raised by a no-nonsense father who did not sugar-coat things and trained me to think rather than me expecting him to hold my hand and give me the answers to my problems. Furthrermore, I played HS baseball and college basketball. I can't repeat what I was told by those coaches as they prepared me and my teammates for games. Those encounters with my dad and coaches prepared me for the "real" world. It seems to me that the RPC is trying to do the same. No surprises here when you have a Libertarians for Trump around. I've found many "libertarians" to be softies. I've never looked into RPC (plan to when the time comes) but I would expect nothing less than the real deal from start to finish in this curriculum. The real deal is not for the faint of heart, but for the staunch/principled which many self proclaimed libertarians are not. You're always going to come across a brash or tough teacher in your life. I've seen it and found that those who waist their energy complaining are really just trying to get out of something and fail. Those that put their head down and mind to it find a way to breeze on by. Bob Wenzel is right about Gary North. If you take his U.S. history course, you will know more than nearly anyone with a bachelor's degree in the subject. If my kids were so shortsighted that they complained to me that there weren't enough laser guns and dancing girls in his videos, I'd sit them down and have a serious talk about what it means to transition to adulthood, and how to appreciate amazing gifts and opportunities. Dr. woods, it's been years. We chatted at a Mises soiree in Greenville, SC years ago. It was shortly after your congressional testimony. I could write more, but I'm not sure if it will get censored so I'll keep it quick. "laser guns and dancing girls" That's cute. Did you think of that all on your own? Tell you what, why don't you stop by with your kids some day and I'll size them up and tell you where you're lacking in your parental skills? You sound like many of the government-school parents I've met over the years. So quick to give advice on how I could do better. Of course, you do have a vested interest in this, don't you? What the heck does this have to do with laser guns and dancing girls and entertainment value? North himself could be deemed a snowflake for his authoritarian, denigrating, merciless and insecure behavior towards a frustrated yet powerless student (not his means of problem fixing, but the booting off RPC). If he was trying to prepare Riccioli for the real world, he should have taken her aside and explained himself after her rant, maybe Lillie could have understood him better. If she was a problem after that, let her go. But to unleash hell after one perceived act of disrespect is far over the top. And students should not be belittled by teachers to the point where they can't ask questions or are intimidated. These are actual detriments to learning and I can see why people would shy away from North. It's indeed possible to take what is valuable and dump the rest. This has some potential, if only this lesson was taught with patience or kindness to kids by adults, but it usually comes with mockery and name-calling. This is what I'm getting from you and Wenzel. "Gary North is a great teacher, and anyone who doesn't want to put up with his demeanor is a childish snowflake." Refusing to undergo a caustic or authoritarian teacher is not itself a sign of immaturity. Everyone for themselves will have to judge the value of being lectured directly by the admittedly useful if not perfect Gary North. I don't know if I'd reject the RPC because of him. But that authoritarian styled pedagogy will not work with everybody and in that case it can cause problems. I guess those people will have to settle for being a snowflake and a left-libertarian. Home education includes removing the many caustic social aspects of government schooling. It isn't simply finding the "best" way to educate young people. The "best" curriculum for one child will not work well with another - people learn differently. Well put, Mr. Dean. Be careful, though. You're very close to stepping on some very cliquish toes. Sounds to me like North is the snowflake. Every student arrives in a particular condition and must be taught as is. You have to start from where they are. The rest of my post, which RW chose to leave out for some reason, maybe hes just as delicate as North, was about how North might do such a thing. An unhappy customer is an unhappy customer. Buck up, make the adjustment and stop whining. The fact is that Libertarians have a communication problem. We are endless batting away nonsensical accusations because our detractors are more effective at communicating falsities than we are at communicating the truth. People's minds are boobytrapped. If you want to plant the flag of freedom, you have to navigate the minefield first. Far too many libertarians dance on people's landmines then point to the explosions as proof of the irrationality of their opponents. I am guilty of this too. I get it. It's fun to watch a SJW have a dramatic breakdown over some stupid thing, but it is self-indulgent on our part and it does not help turn non-libertarians into libertarians. The minefield must be navigated if any effective communication is going to take place. If you step on a mine, you have to start all over again. Don't whine about how silly the minefield is, just find a way across it. No one cares about your rock-solid rational argument (which we have) if they think you are their enemy, and every time you step on a landmine they become more and more suspicious. If you want to get a girl, learn how to dance and stop whining about how stupid dancing is. He struck me as a bit of a prima donna when someone called him Gary and he started on a diatribe about how disrespectful it was for a stranger to use his first name. I guess he thinks he's a pretty big deal.